Neil Cloke pushed himself to his absolute physical limit on Saturday as he took part in one of the toughest Ultra races in Europe – the Lavaredo Ultra trail race. Starting at Cortina d’Ampezzo in the Dolomite mountains in Northern Italy, Neil had the challenge of a 74 mile course which included 5 major climbs and a total climb overall in the race of over 19,000 feet. Although the race had over 1600 starters, due to the tough nature of the race, only 972 finished, and Neil finished in an outstanding time of 20:02:13 and 218th place. 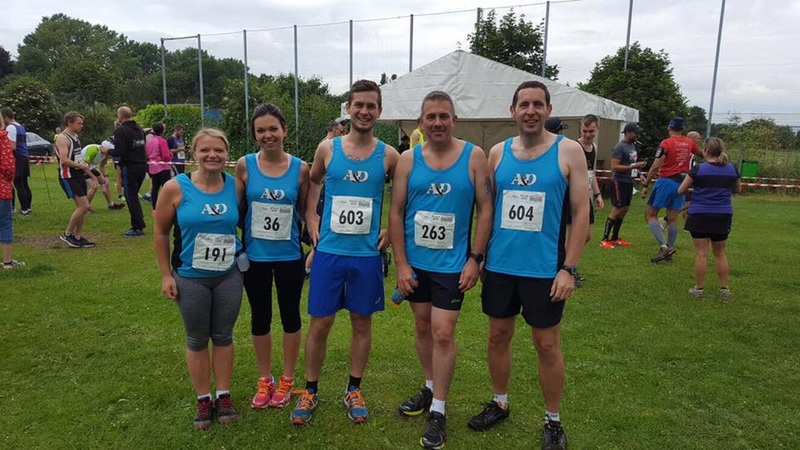 Sunday saw five of the club’s members take part in the multi terrain North Downs run, a 30k race which includes some very tough climbs across the North Downs, and this year the runners had to contend with a very wet course underfoot. First home for the club was Anthony Brown who finished in 87th place in a time of 2:41:25 (PB), pushed hard by Richard Baker who finished in 100th place in 2:44:27. Mark Attenborough finished 153rd in 2:54:44 (PB), Ingvild Firth in 3:09:25, and Rhian Shrimplin in 3:15:47 (PB). Dean Bracken took part in the Leeds Castle Triathlon Sprint event on Saturday. Comprising a 750 meter swim, 26k cycling and a 5k off road run, Dean finished in an excellent 40th place out of over 500 starters, finishing in a total time of 1:35:35. Jon Wiles battled through the pain to complete the tough Race to the King Ultra marathon on Saturday. The 53.5 mile multi terrain race starts in Arundel in West Sussex, and takes the runners through the South Downs national park to a finish at Winchester Cathedral. Jon completed the course in a time of 20:11:00. Stu Nunn completed the Podplus MNDA 3 lakes 5k in a time of 23:59, followed home by Steve Hickman in 27:58.